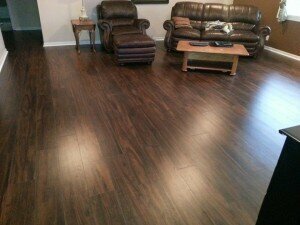 Vinyl flooring is a cost-effective option for just about any room in your Lakeland, FL home! Commonly used in kitchens and bathrooms, vinyl flooring is a cost-effective alternative to some of the more expensive flooring options. 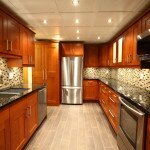 At Jim’s Floor Depot, we offer all types of vinyl flooring for sale, as well as installation to save you the trouble. Our service area includes Lakeland, Florida, and surrounding areas. Since we understand your needs, we also offer installation and other flooring services on Saturdays, helping you to avoid missing work on weekdays. We can pick up and dispose of your old flooring, as well. Vinyl flooring typically comes in either sheets or tiles, so you can choose the option you like better. This type of floor contains synthetic materials, including PVC, which makes it durable and resistant to stains, discoloration, and wear. If you choose a vinyl flooring option that comes in full sheets, it will typically look more natural than vinyl tiles. Both come in options that look like tile, stone, or other natural materials. They are far less expensive than these natural materials, but can look very elegant in your home. When we install vinyl flooring in your residential property, we will often place a padded layer of backing, followed by the printed layer in the design that you chose, and then top it with 1-2 layers of clear coating that keep it looking nice. You can use vinyl flooring in just about any room of the home, and the materials are water-resistant, so you can easily wipe up a puddle of spilled water without worrying about mold or other growth.